Happy Easter!!!! What is your favorite Easter candy? I love Cadbury Eggs. They are perhaps my absolute favorite candy ever. Not just my favorite Easter candy, but my favorite candy of all time. This year I gave up chocolate for Lent. I had one Cadbury egg before Lent and haven’t had one since. But, seeing as today is Easter, I know my mom will be giving me plenty! Growing up I always got several Cadbury eggs for Easter. My parents would stock up on them after Easter and for the next 3 or 4 months they would give me one whenever I did something well. I might get one for getting an A+ on a paper or for helping my parents do some things around the house. It was a sure fire way to get me to do something because I couldn’t buy them anywhere and I knew my parents had some. I love that they now sell the mini Cadbury eggs. They are so cute, have way less calories, and I like to enjoy one as a snack. I also love baking with them. 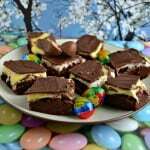 If you have any left over after Easter I have a fabulous snack idea using the mini Cadbury eggs. 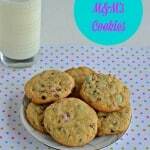 I actually made these last week for the staff at school and they enjoyed them. What are they? 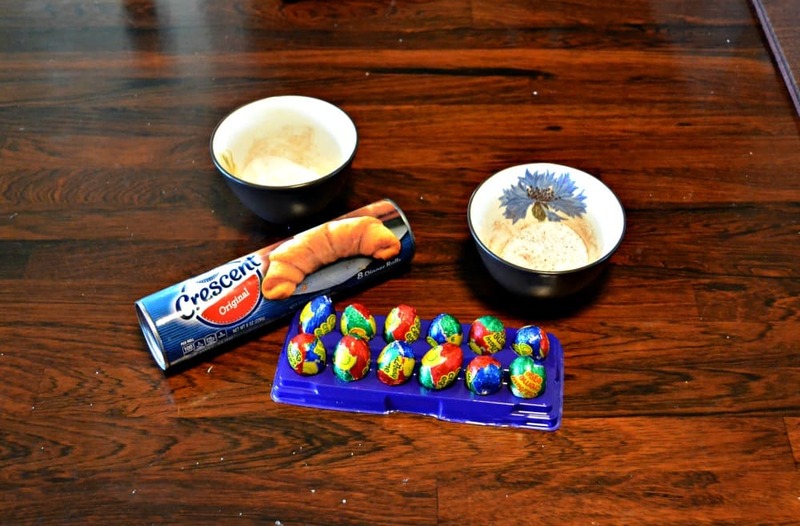 Cadbury Egg Stuffed Croissants. These are awesome. You’ve got the buttery, golden brown croissants on the outside with melted Cadbury egg goodness on the inside. I sprinkled the croissants with two different toppings. One was a sweet cinnamon and sugar mixture perfect for the kids and the other was a sweet espresso topping perfect for adults. Choose whichever one you want or make some of each! Using leftover mini Cadbury creme eggs and stuff them inside croissants for a deliciously chocolate and butty croissant dessert. Preheat the oven to 400 degrees. Separate the crescent rolls. 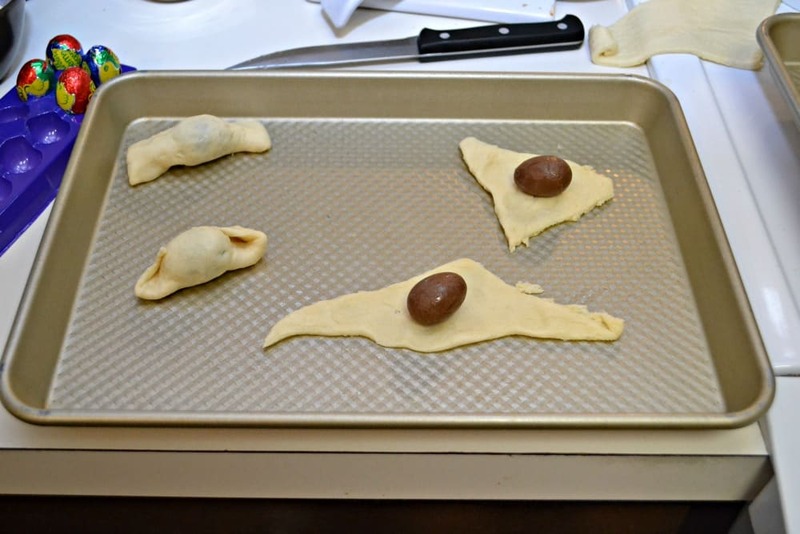 Place a mini creme egg at the wide end of a crescent roll and roll up, pinching the edges so the chocolate doesn't leak out. 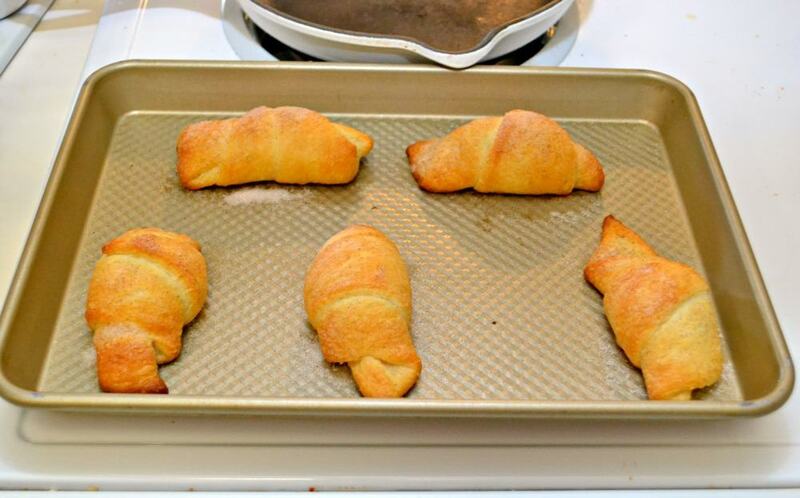 If you'd like, you can cut some of the crescent rolls in half (I did this with 4 of them) and simply roll the dough around the creme egg and pinch the ends shut. Place on a baking sheet. Brush with melted butter. In a small bowl combine half the sugar with the cinnamon. In another small bowl combine half the sugar with the espresso powder. Sprinkle the cinnamon mixture on half the croissants and the espresso mixture on the other half of the croissants. Bake for 10-12 minutes or until golden brown. Remove from oven and cool 3-5 minutes before eating. SO easy, SO scrumptious!!! Now I just need to make sure we have some leftover Cadbury eggs! Okay! 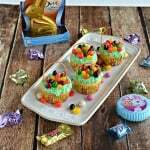 Now I have to make these with the mini caramel eggs. You are evil in the best way, Heather! Oh my. I’m just thinking of that melty chocolate candy inside of those buttery rolls. Pure comfort food. For sure! They were an awesome treat. Oh wow! Now those are quite a treat! Okay, so I was feeling slightly bad that I hadn’t tried Cadbury eggs before– but now I know I absolutely need to! 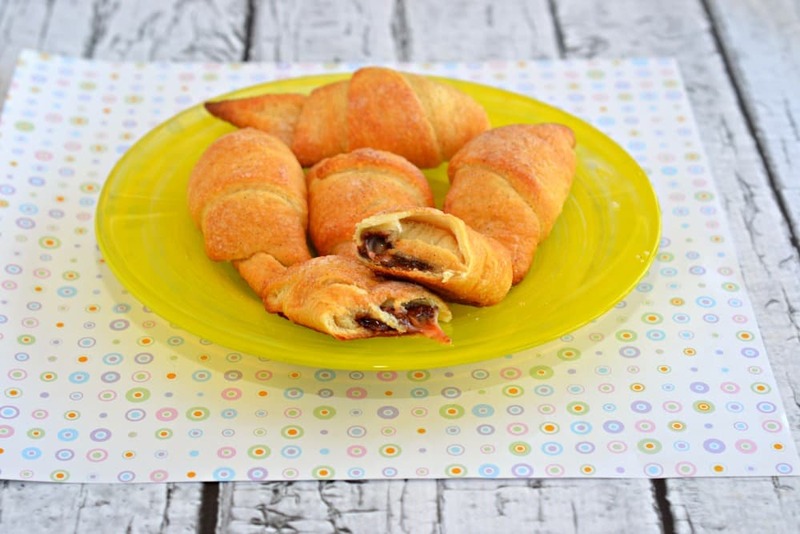 These stuffed croissants sound absolutely divine, and I can’t wait to pass this recipe on to folks who really do have Easter candy waiting around for them. Great share! My kids want these!!! 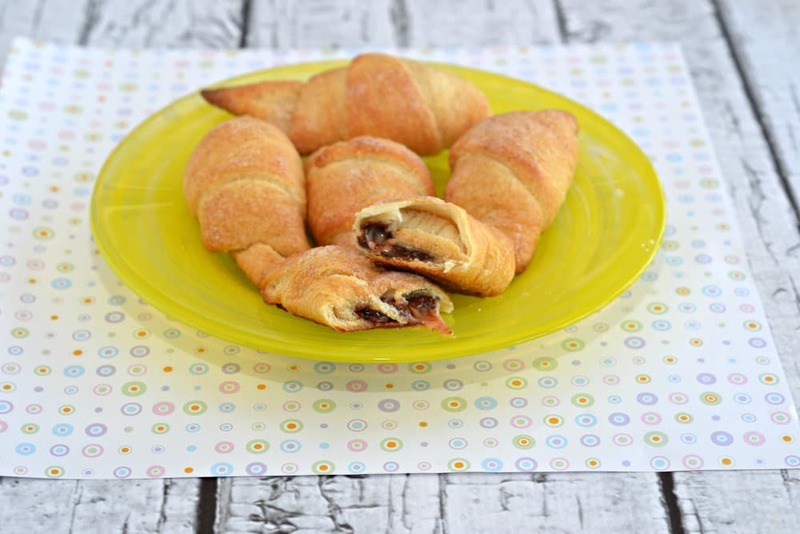 Who doesn’t love crescent rolls and chocolate???? YUM! Love how simple this recipe is, but also genius at the same time. Yum! I think I’m one of the few people who don’t like Cadbury Eggs. 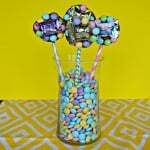 But, I love this idea – it could be done with any leftover candy! You got me hooked here! Cadbury eggs are my fave Easter candy! !